The Peter the Great Egg is presented in rich Romanov-red, hand engine-turned in a pattern representing the waves on the River Neva, and guilloché enamelled. 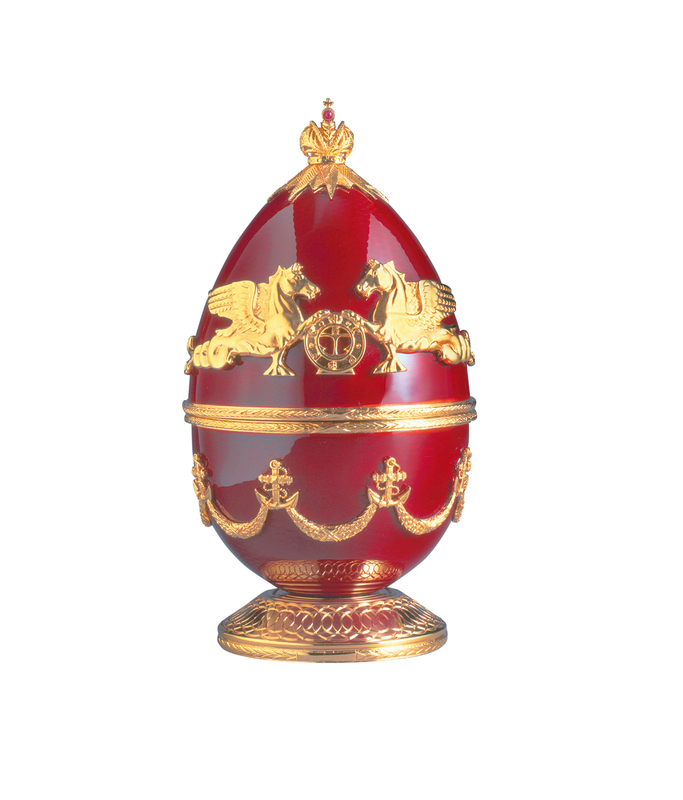 In 24-carat gold on hallmarked sterling silver, the top is adorned with the sea-gryphons found on the City's magnificent Admiralty Building. To the rear, in vermeil, appear the eagles of the Czars, their double-heads symbolising Russia's conjuncture between Europe and Asia. 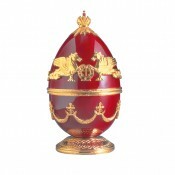 The Finial is the Russian Imperial Crown in vermeil set with a cabochon ruby. 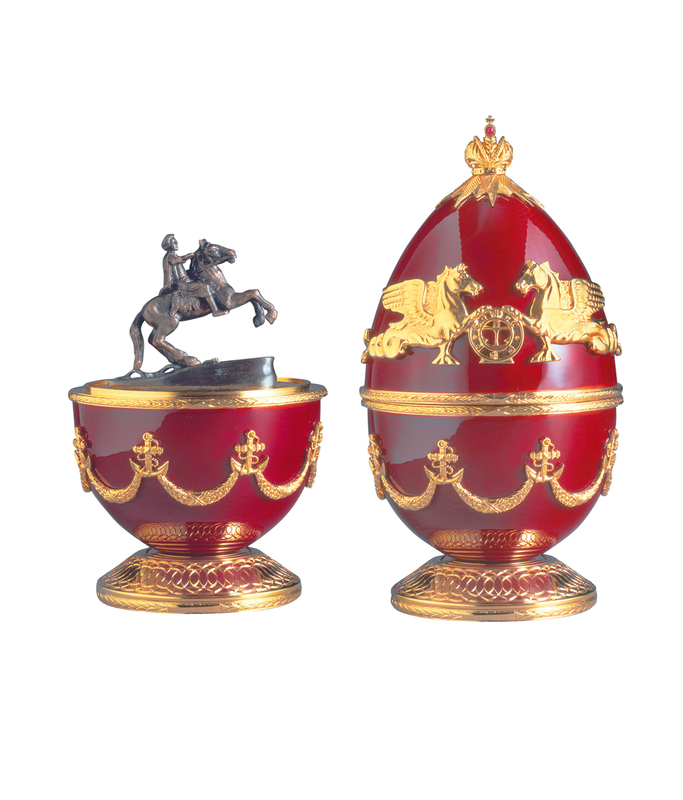 The base bears raised anchors, interpolating the distinctive Fabergé swags. Theo's Holtzapffel lathe, dating from 1861, crafts the ornamentally-turned foot upon which the creation stands. In the family tradition, there is a surprise within the Egg; the statue of Peter the Great on his galloping stallion, rearing to crush the snake of evil, poised atop the granite block to the fore of the Senate Building. 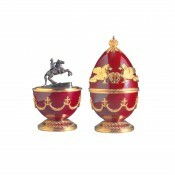 Modelled in sterling silver throughout, and bearing a patina to resemble Etienne Falconet's original, they stand on a hand-turned decorated base. Materials: Guilloche enamel, 24 carat gold and sterling silver.